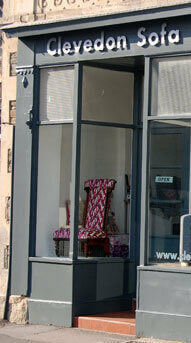 Clevedon Sofa Company offer an individual service in expert re-upholstery and recovery service. All work is carried out in our on-site workshop by Julian Bushby, a local craftsman with 40 years of experience. Whether you require a contemporary, traditional, designer or antique style, by using traditional skills and genuine care, we can promise each piece of furniture is made to the highest quality.